Hi everyone! Hope you're having a lovely day and have a great week ahead. 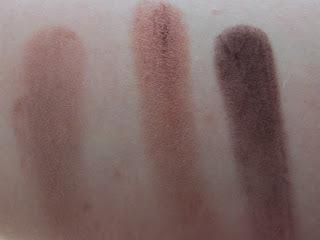 Today brings another little review (let me know if you're getting sick of them, I've just got a tonne of new things) and this time it's the Eyes on Mac Burgundy Times Nine Palette Review. 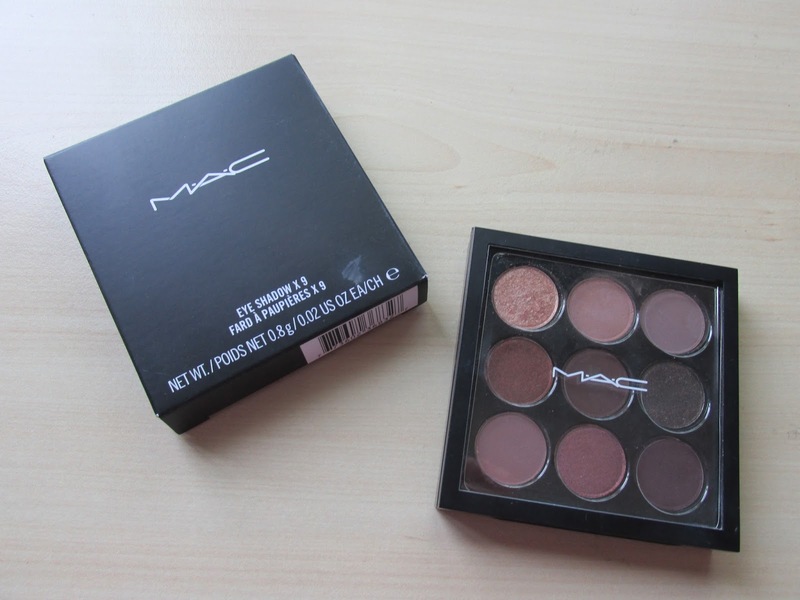 Now Before I got this little palette, I was a total MAC eyeshadow virgin. I had some pigments but had no actual eyshadows in my collection. So I saw this as my opportunity to try 9 shades out at once and see how I liked them. The collection comes with 4 shade ranges to include; Amber, purple, Navy and, the one I got, Burgundy. As I said above there are 9 shades, all neutral shades but based around the burgundy colour, which I thought was right up my street, and it cost £30. The shades are really versatile; you can get so many different looks out of this wee gem. At first I thought I was getting a super bargain with shadows usually costing £10 individually but I quickly realised that they were not full sized but I was still excited to see how they compared to my beloved urban decay shadows. 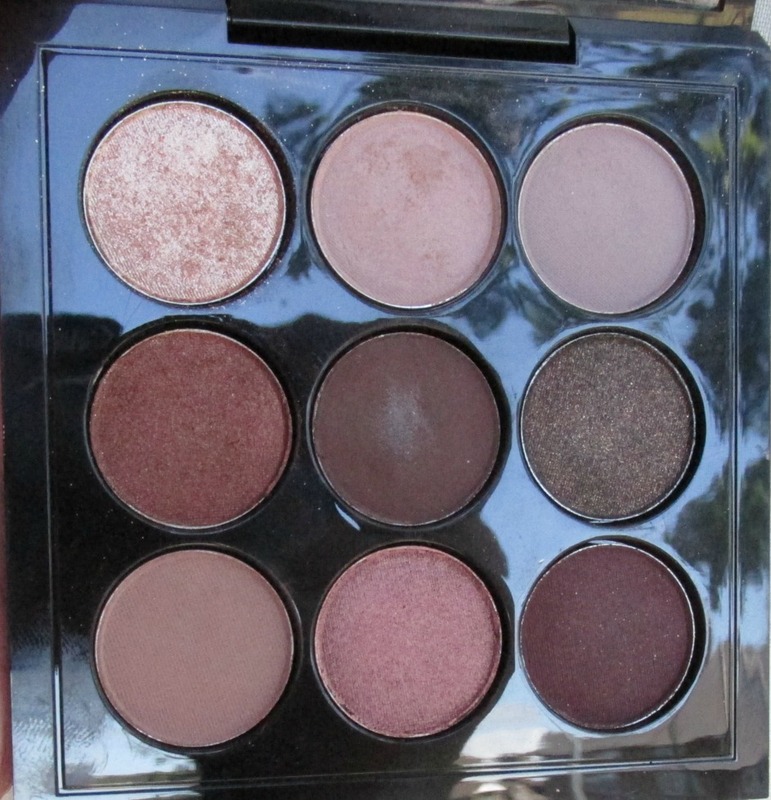 This palette comes with a mix of Matte(M), Satin(S), Veluxe Pearl(VP), Velvet(V) and Frost(F) finishes. 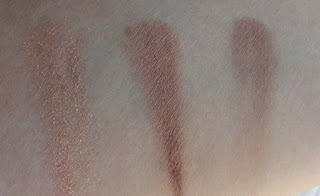 One thing I did notice about these shadows is that they don't swatch as well as I hoped. When I first swatches them, I was actually really disappointed but don't let that put you off because they apply so much better to the actual eyes. 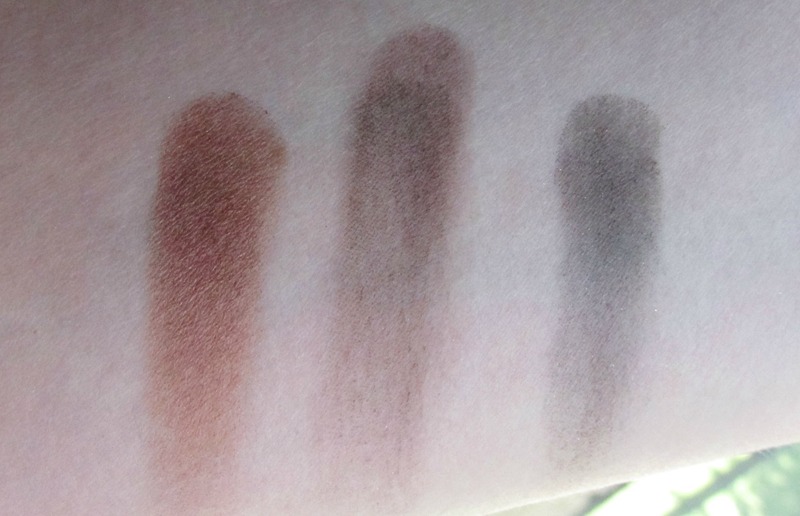 One of my favourite shades has to be embark (Middle row, middle shade) it is a Matte, reddish dark brown and I've actually been using it in my brows since dying my hair a more purpley colour. 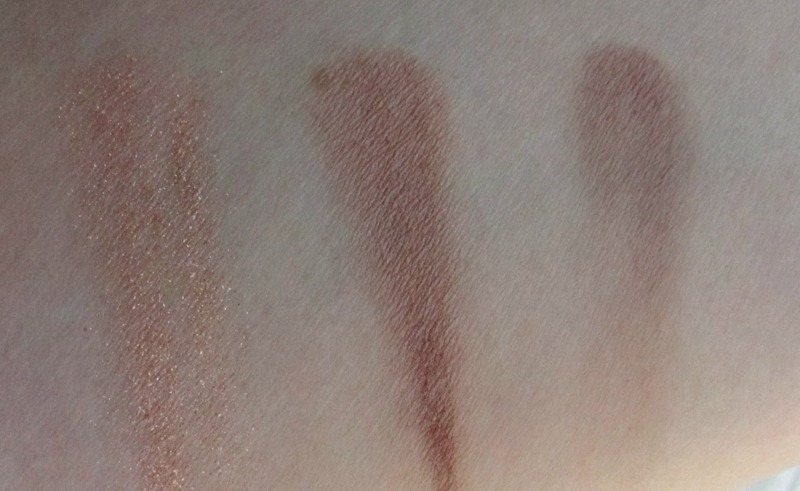 It also makes a good crease/outer corner shade. My Next Favourite is the first in the palette- Honeylust. I love the real shimmery, light reflective finish this gives and I find it best applied all over the lid with a clean finger. And last favourite is Sketch, it's a fab purpley (bottom right) colour which isn't too 'in your face' and gives a great addition to a smokey eye. Overall, I think this is a great wee palette. It's obviously quite expensive as it is MAC but I actually think you're getting pretty decent value for money, especially if you want to try a few shades out without splashing out £10/£13 a go. 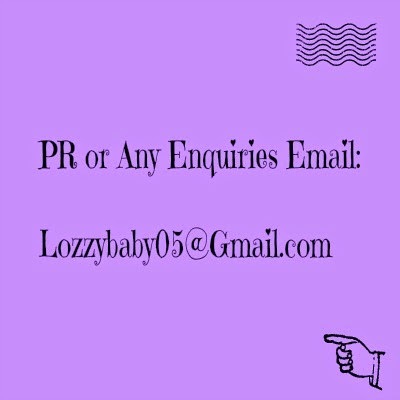 The quality is great, I wear them with primer and they last all day from 6:30am to 8pm and don't crease, they blend easily and keep their pigmentation. One small complaint would be the packaging, I'd just like a mirror to be honest.